A 68° field of view - physiologically optimal for the eye. The largest angle where the entire field of view remains visible, even when taking into account slight involuntary movements of the observer's head. Perfectly sharp over the entire field of view due to 8 lens elements arranged in 5 groups. Excellent colour fidelity right up to the edge of the field of view. Two eyepieces in one! 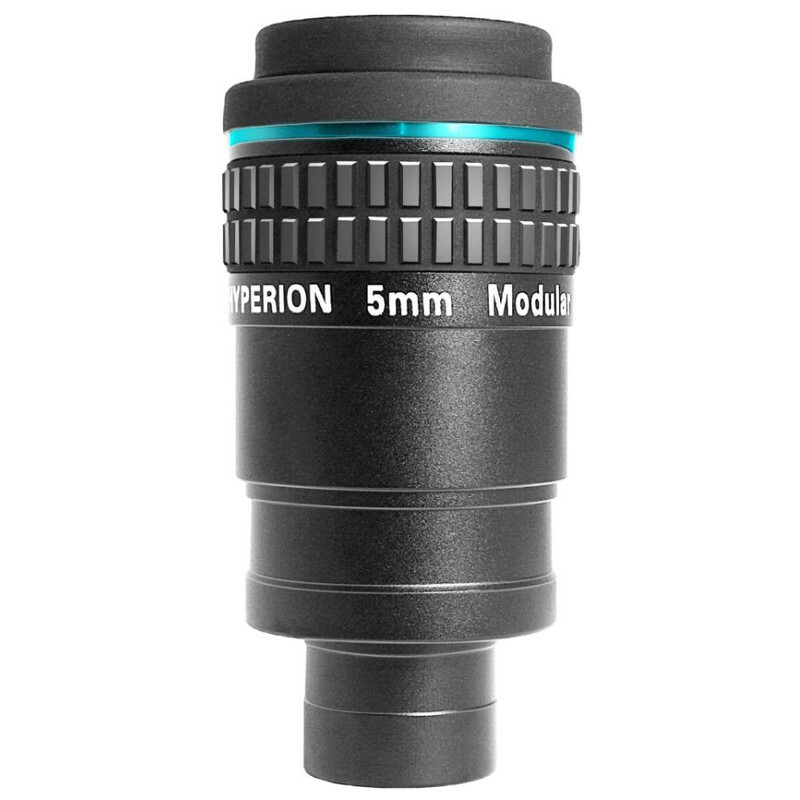 When using the 2" barrel, the eyepiece can provide two focal lengths - without the negative achromat group it is a 2" wide field low magnification eyepiece; and the nominal magnification with the 1.25" negative achromat group. The lowest possible distortion and, at the same time, very low astigmatism by using high refractive index glass elements. Shortest field stop position of all wide field eyepieces known to us. Specifically designed for binocular viewing. Comfortable viewing! No 'kidney-bean effect'. The image remains visible even with involuntary head movements. 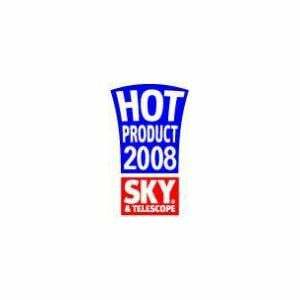 Many wide field eyepiece designs are very sensitive to this. 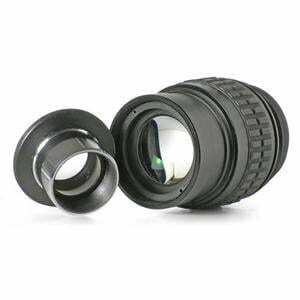 Another highlight of these eyepieces is that they are also suitable as projective lenses for photography. 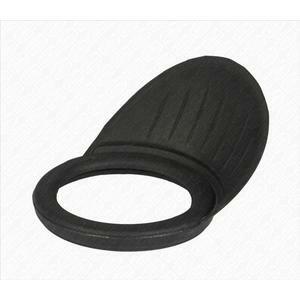 The eyecup can be removed and replaced by an M43-T2 adapter. This results in useful options for connecting SLR and digital cameras. A variety of adapter rings allow connection to almost any camera with a front thread. Video cameras and webcams can also be connected. 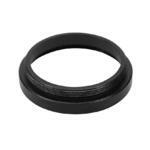 Also, the focal length of the eyepiece can be changed by inserting spacers. 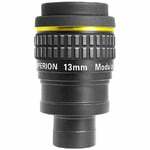 The diameter of the eyepieces allows their use in bino-viewers. The eyecups fold down, providing sufficient eye relief for spectacle wearers. Baader Phantom Group coating™ - this is a 7-layer broadband anti-reflection coating with extremely low residual reflection. The designation 'Group' indicates that the most effective anti-reflection layer system is worked out for each type of glass used in the respective eyepiece. All these various antireflection coatings, on each type of glass surface, have then been optimized so that they are most effective where the human eye is at its most sensitive at night - i.e. at about 520nm, which is in the green region of the spectrum. The best anti-reflection coatings appear almost colourless - this proves that the coating is functioning equally well over the entire visible spectrum. Phantom Group antireflection coatings are - depending on the type of glass - almost entirely colourless. In this way it is ensured that the least light is lost to the night-adapted eye and that no scattered light will interfere. 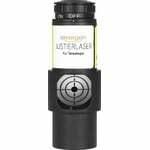 If you look directly at a coated lens (eyepiece or objective) and can see a strong green reflection, then it is not a Baader Phantom Group coating! An intense green reflection is indicative of a relatively low-tech coating technology and means that light is being wastefully reflected - i.e. lost - right in the useful spectral range between 500-550nm. One ingenious feature of these eyepieces is that they can also be used for eyepiece projection for astrophotography. The eyecup can be removed and replaced with a M43-T2 adapter. This results in the useful option of being able to connect them to a DSLR or digital camera. A variety of adapter rings allow you to connect them to almost any camera with a front thread. Even the connection of video cameras and webcams is possible. 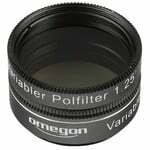 In addition, the focal length of the eyepieces can be changed by screwing on spacer rings. 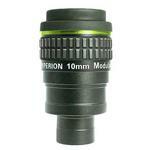 The diameter of the eyepieces also allows their use in bino-viewers. The eyecups can be folded down, making the eye relief also suitable for spectacle wearers.